Sony a7S Full-Frame Mirrorless Camera, Part 2: Adapting Lenses to the E-Mount – Vancouver Video Production Company – Shawn Lam Video Inc.
Now that we have covered some of the important characteristics of lenses from a videographer’s perspective, we’ll discuss several of the lens-and-adapter combinations for E-Mount cameras, like the Sony a7S, that are also relevant for the Sony FS100 and FS700/R. Now that I have covered off some of the important characteristics of lenses from a videographer’s perspective, I am going to discuss several of the lens and adapter combinations for E-mount cameras, like the Sony α7S, that are also relevant for the Sony FS100 and FS700/R. Without a doubt, Canon mount lenses are the most common lenses used by videographers, largely due to the popularity of Canon DSLRs for video. Unfortunately except for the 24-105mm f/4.0 lens, none are parfocal, although I should note that the one 24-105mm copy that I did test went a bit soft on the wide end and wasn’t perfectly parfocal. Fortunately for Canon users, this one lens covers such a desirable range that a complete lack of parfocal lenses throughout the rest of the line-up isn’t a deal breaker. The Canon 24-105mm is reasonably priced at $1,150 but sells for less when paired as a kit lens on several Canon camera bodies. If you want to use your Canon lenses on an E-mount camera, you need a smart adapter like the Metabones EF to NEX Mark III & Mark IV. One bonus with using this pairing over any other non-E-mount lens, is that the Metabones Smart Adapter supports image stabilization (IS), which isn’t even available with Sony α-mount lenses when paired with Sony’s LA-EA adapters. Unfortunately early reviews of the Metabones EF to NEX adapters haven’t been positive. The Mark III suffers from internal reflections and there have been reports of the Mark IV locking-up when you change lenses, requiring a camera reboot. Metabones is promising a new firmware update will fix this issue but this is definitely a set-back for early adopters. More importantly, like most adapters and full frame DSLR lens combinations, Canon EF lenses on the Sony α7S add a lot of weight and length to a camera body that is smaller and thinner than a typical DSLR. 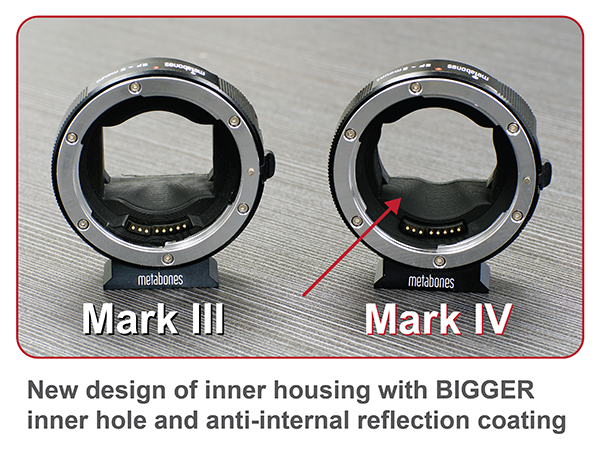 Early versions of the Metabones MK III and MK IV EOS to NEX adapters have experienced issues. Adding the optional Sony VG-C1EM vertical battery grip does help to rebalance the diminutive Sony α7S when adding a DSLR lens and adapter and it also adds additional length to the body that gives the Sony α7S a more professional look, similar to how some videographers can on occasion dress up their lenses with follow focus and matte boxes purely for show. The VG-C1EM battery grip isn’t likely to used by videographers as a vertical grip while filming videos as we understand that vertical video is a faux-pas, regardless of how many cell phone videos we see on our Facebook feeds, but the C1EM grip does appeal to videographers as it adds capacity for an additional Sony NP-FW50 battery. This effectively doubles the battery life of the Sony α7S from one hour, which is too little, to two hours, which is more acceptable. I do recommend having additional spare batteries and chargers ready to go for those long filming days. 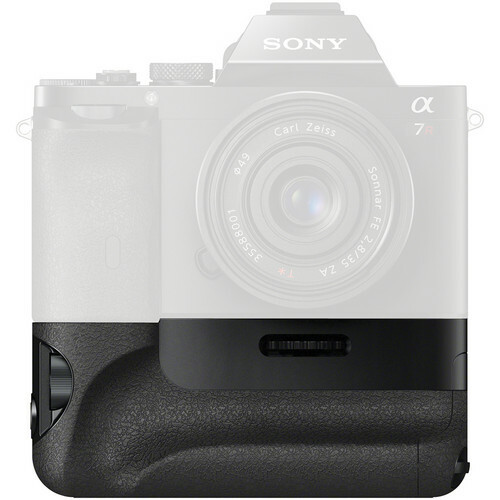 The Sony VG-C1EM battery grip adds additional camera height and can support an additional battery.